A dangerous driver who fled to Dubai has been jailed after being extradited back to Britain. Adam Ali, who left the UK in January 2017, was described as “taunting” police by using his Instagram account to pose with flash cars and watches. 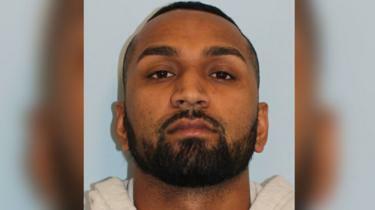 Ali, 30, from Essex, was convicted in his absence later in 2017 of ammunition possession and motoring offences. He has been given 10 months for fleeing while on bail, to serve on top of his original three-year jail sentence. Metropolitan Police officers originally went to Ali’s house to investigate reports of dangerous driving. The force said it found self-filmed video of Ali speeding on roads in south Essex while he had one foot resting on the dashboard. But after being bailed by a court, Ali fled to the United Arab Emirates. A police spokesman said Ali, of Thornwood near Harlow, remained abroad and “appeared to lead a very lavish and luxurious lifestyle” in Dubai, from where he “taunted police via social media”. The Met said he posted pictures of himself on his Instagram account – since deleted – posing with sports cars and expensive watches. This came to an end after Ali visited the US in 2018 and, on his return to Dubai, he was arrested at the airport by the Emirati authorities. He was extradited on 16 January and sentenced on Tuesday at Southwark Crown Court, for fleeing while on bail and failing to surrender to the court.